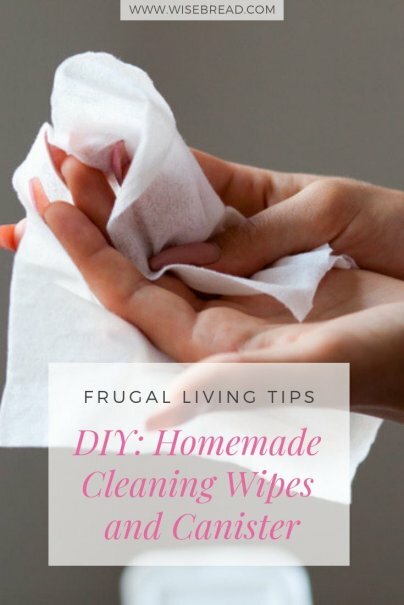 When there's a mess, instead of reaching for expensive cleaning wipes, make your own for less than a dollar. With the help of vinegar and liquid dish soap, your counters will sparkle without the use of harsh chemicals. 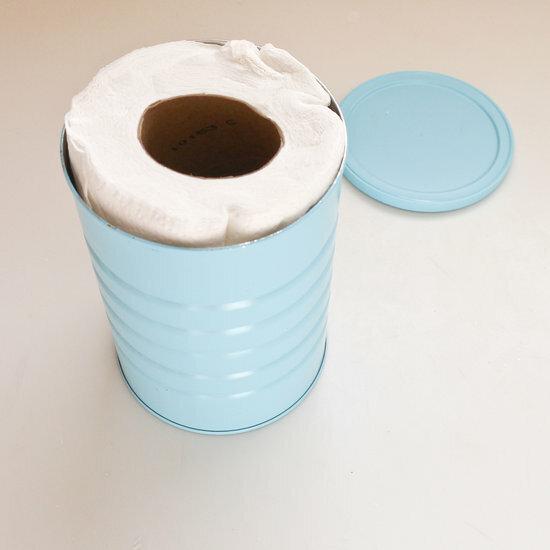 And you'll love how this easy DIY can be made over and over with the help of a repurposed coffee canister. Made from all-natural ingredients that power through any mess, adding a few sprinkles of your favorite essential oil personalizes these eco-friendly cleaning wipes. 1. 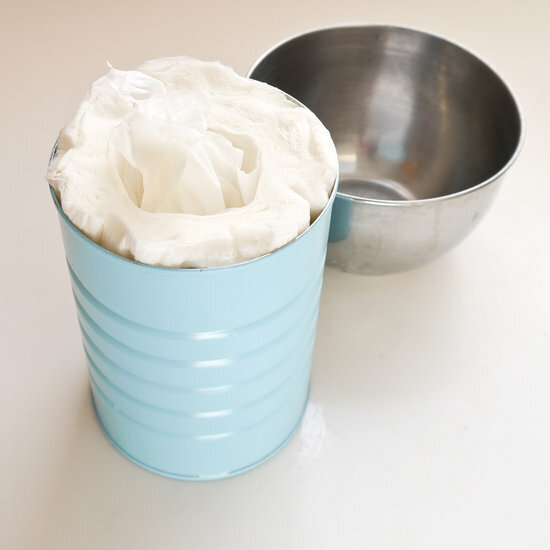 After picking up the ingredients for these homemade wipes, they cost just about nothing to make, which means you can have a can of wipes in every room of your home. Vinegar does an amazing job of cleaning up messes while naturally whisking away germs, preventing mold, and killing bacteria. And use your favorite dish soap, or make your own. 2. Repurposing an old coffee can for this DIY is a fun way to create a container that can be used over and over again. Either leave the can as is, or give it a quick coat of spray paint, inside and out, for a fun look and to keep the inside of the can from rusting. 3. 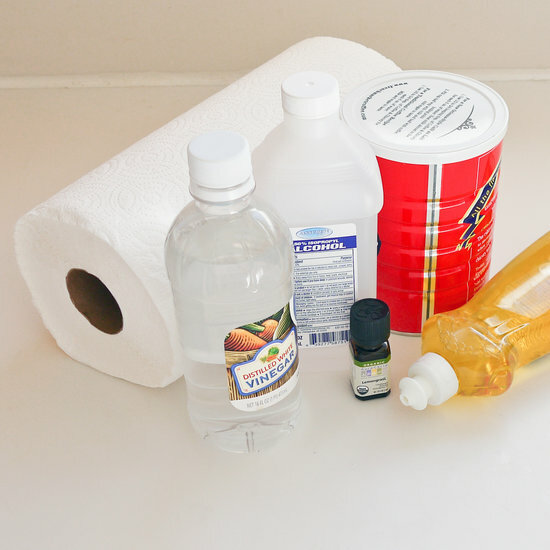 To create the cleaning wipes, cut the paper towels in half using a sharp serrated knife, and squish them into the painted can. And using eco-friendly paper towels makes this DIY even greener. 4. 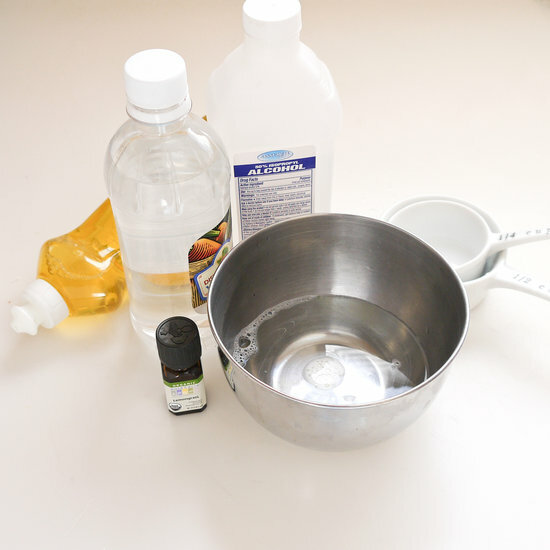 Mix together the vinegar, dish soap, rubbing alcohol, and water in a small bowl. You can add several drops of essential oil to the wipes, which personalizes the cleaner and boosts its antibacterial powers. 5. Slowly pour the liquid over the paper towels. Once saturated, carefully remove the cardboard center, and pull a paper towel from the middle. 6. 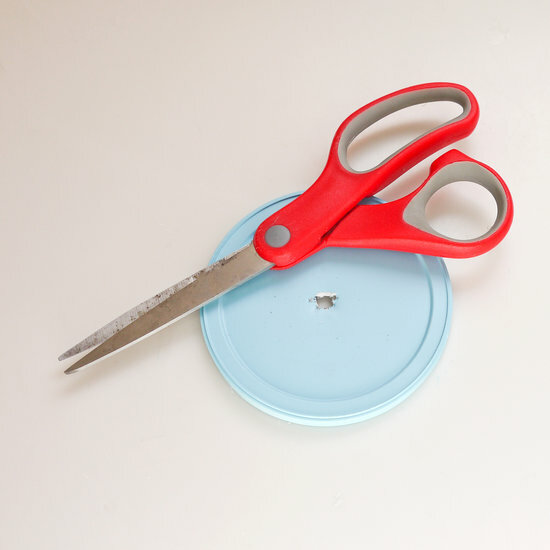 Press a craft needle through the center of the plastic lid several times, and then fit scissors through to cut a circle from the center, around one half-inch in diameter. 7. Now feed the paper towel through hole in the plastic lid and secure to the painted coffee can. Not only are these wipes great at cleaning and disinfecting your home, but they also look seriously cute adorning countertops. 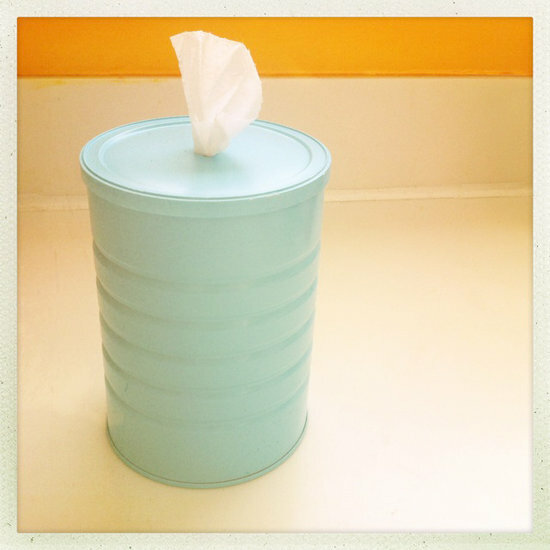 Simply add a few drops of water to the canister as needed to keep wipes moist. These are NOT enough to sanitize a cooking surface. They won't prevent cross-contamination of food. I wouldn't recommend them for kitchen counter use. This is AWESOME! Wicked idea Popsugar/Wisebread! I saw something like this for making baby wipes- I know it was a solution of diluted shampoo. Also you must use high quality paper towels (try Viva) or they will disintegrate. What an awesome article! Thank you! I love cleaning wipes. I use them for everything but I go through them so quickly and they aren't cheap to buy. This is a great idea! Vinegar will kill salmonella, but needs to be warmed up to also hit listeria and e coli. Just double checking before I try this out! If I spray the inside of the can with regular spray paint, it wont rust? I love my homemade baby wipes, so I'm sure I'd keep these wipes by my sink and use them often! Thanks for sharing! 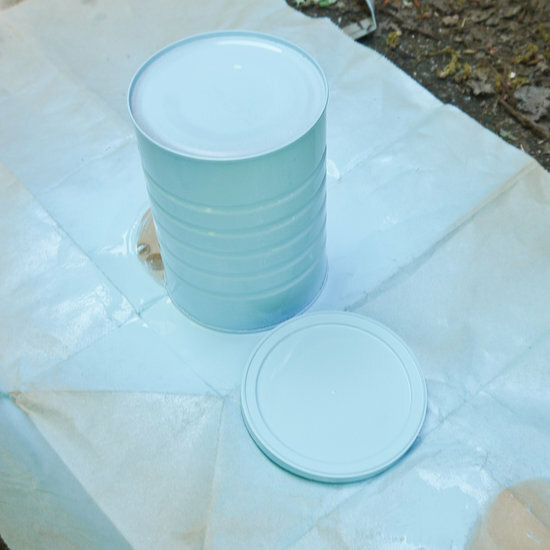 Using a rust-free multi-purpose spray paint will keep the coffee canister from rusting. Make sure to totally coat the can, inside and out, for the best results. Great idea! Cleansing wipes can be expensive and are something I use constantly, I'm just wondering if the manual labor and time is worth it. By the time you buy the materials to make the wipes you can just buy them discounted in bulk from a warehouse. Now, that's useful! I'm going to have to beg for the coffee can though.